With every spectrum auction comes the opportunity for T-Mobile to improve and expand its network coverage. And if there’s one thing it needs to focus on in 2014, it’s coverage. Although its LTE rollout in 2013 was lightning fast, it still lacks the same quality high speed network in smaller cities and rural areas. But, coming by enough spectrum isn’t easy. It’s just coughed up over $3 billion to grab some of Verizon’s lower frequency airwaves, but that’s not enough to get Magenta-flavored LTE to the entire nation. 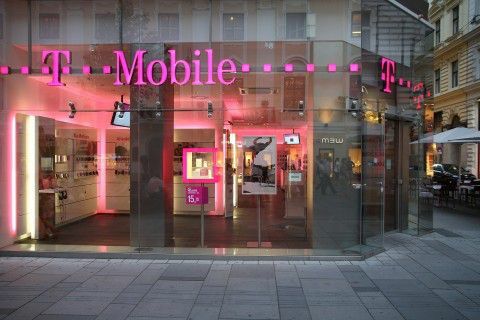 One of Tmo’s problems is the regulations and methods of offering up spectrum at auction, something T-Mobile’s Vice President of Federal Regulatory Affairs knows all too well. Kathleen Ham created a blog post yesterday evening to highlight this very issue. The problem is that frequently, these auctions sell blocks of spectrum covering big geographical areas. This method suits the big two carriers, AT&T and Verizon just fine, but it’s not ideal for any of the smaller and more competitive carriers. If spectrum auctions are going to be more fair, and generate fair competition between all the carriers, the airwaves need to be broken down in to smaller blocks, covering smaller locations. 50 megahertz of prime spectrum nationwide is at stake as the FCC finalizes its AWS-3 auction service rules, and not surprisingly, Verizon and AT&T are advocating for big blocks covering big geographic areas. However, an auction with too many large blocks is a configuration that has the real potential to dissuade competitive carriers from participating in the auction. By contrast, smaller spectrum blocks with a mix of large and small geographic areas will provide the greatest opportunity for a wide variety of bidders to participate and obtain licenses that match their licensing needs. In particular, T-Mobile would like to see the AWS-3 spectrum divided into as many 5×5 megahertz blocks as possible. This approach will bring in more bidders and increase auction revenues as a consequence. If the Commission nevertheless believes some bidders would benefit from the ability to purchase spectrum in a 10×10 megahertz block, it should include no more than one such large block in the AWS-3 band plan given the significant countervailing benefits of making the spectrum available in 5×5 megahertz blocks. And here’s the key point, at least in my mind. Regulatory bodies like the FCC and DoJ exist to ensure that a competitive market is maintained. It’s why AT&T failed to buy T-Mobile in 2011, and it’s why neither body is convinced that merging Sprint and T-Mobile is a good idea. With that in mind, the FCC should adjust the way it offers up spectrum at auctions to portray the same competitive spirit. After all, there’s no good denying two carriers coming together to create a better market place for consumers if they’re going to turn around and only offer airwaves up in a way that suits the two big guys. For Kathleen Ham’s full post, head on over to her blog post. Spectrum should be a national infrastructure. Also the FCC should NOT be chopping the spectrum zones into smaller physical areas. We already have way too many up for grabs as it is. What has happened in the past is that investors will buy chunks of spectrum all over the place and we end up with no carrier having a completely even spread of spectrum holdings across the nation. Also the larger carriers will buy almost all of the spectrum in large metro areas and sit on it forever so as to punish the smaller carriers who could utilize it. Fully agree that they should be required to utilize the spectrum in a given time frame or forfeit it back to be resold. Companies then will purchase with more caution as to what they need and can actually build out. If they attempt to resell before losing the license then I’d like to see a provision that prevents them from making profits on it. Let them break even with what they purchased the spectrum at. Stop companies from buying the licenses only to hoard and sell later to the highest bidder. That’s what I said before if don’t use it u lose it but u can resell it just to break even but there’s carrier that just buy it and just hold it. Sprint is probably the biggest one they hold so much spectrum and they can’t even manage to use it. That 2500MHz spectrum that they own is pretty useless for what they’re wanting to use it for: long range coverage. The BRS spectrum is from Clear, long after Sprint bought Nextel. I wish people would refer to spectrum as it’s frequency number, in thus case 2500mhz, instead of some acronym nickname that probably most don’t know what it stands for. The only spectrum acronym I know is AWS, I don’t know SMR, or BRS. . .
Can we stick to the frequency numbers instead? And who would decide which companies would get to use what? Spectrum needs to be allocated. It cannot just be used. If so everyone would interfere with everyone and it would be useless. FCC must own spectrum and just lease it to the companies. In this scenario FCC could end lease if company is not using their block plus companies would required to pay lease every year. Companies would think then if they need this spectrum. Spectrum is currently licensed by the FCC and acquired under use-it-or-lose-it rules. That may not have applied to some of the earliest auctions, but has applied certainly since at least 2006. Verizon sold its A-Block holdings to TM in part because they were running out of time on the deployment deadline and had no plans to do anything with it. It’s likely that at least part of TM’s motivation for the new program to bring LTE to its 2G-only footprint is because they have a 2016 deployment deadline for their nationwide AWS license holding. The problem in some respects has been the FCC’s conflicting remit: to ensure controlled, secure, and interference-free use of all spectrum, while at the same time making the most amount of money from each auction. This has led to different bands being chopped up in ways that optimize revenue rather than making the most sense from a deployment and usage point-of-view. It hasn’t helped that, as time passes and technology evolves, the actual and potential uses of the spectrum have changed in ways that don’t fit with previous understandings of technical needs and consequent license distribution. Also in an effort to receive regulatory approval to purchase the cable companies’ AWS spectrum. Spectrum is a national resource and regulated by the FCC. Companies who purchase a license are doing just that, purchasing a license to operate on that spectrum temporarily. The FCC can reclaim the spectrum and has done so in the past. A good example of this is the spectrum that was formally used by TV broadcasters. True, but they’ve been to lenient with Carriers with it comes to ‘unused’ spectrum. ATT and Verizon have hordes of spectrum they have not used for YEARS, mostly as a strategic move to keep it from competition..
That practice needs to be stopped. They need to prove build out plans and usage or release the spectrum.. if they cannot use it within 2-3 years, it needs to be forcefully dropped from that carrier. They’ve done this with some auctions, but this needs to be a law that is across all airwaves, NOT just some small patches of spectrum. The only problem I see with this is too much government interference and control…however, a cooperative business contract with a clause like that would be okay. Let the market regulate itself and keep government out of it as much as possible. As opposed to loving smart people who repeat lib media news talking points given by the government?! i totally agree if the fcc and the doj promote competitive between carrier they should limit other carrier of how much they can buy spectrum especially the big two we know they have money to buy. When it comes to tmobile which is more of a value base carrier it doesnt have the big resource to fork over couple of billion dollars. We can see that tmobile is improving overall its still kinda lagging. Yes tmobile brought spectrum from verizon for 2.9 billion to improve coverage in key places where they didnt have coverage before. but to make it fair for everybody they need to limit carrier on how much they can buy. just my opinion. Spectrum does not equal coverage. Cell sites improve coverage. All the spectrum in the world means nothing if tmo doesn’t build more sites. 700MHz won’t do much when they pick the cheapest possible location for their sites. Sick of seeing 190-foot towers that Sprint/VZW/AT&T use and then you find T-Mobile on some guy’s roof around the corner at a lower elevation than everything else around it. My roof is for sale, can I get T-Mo to build on it. Bet I’d get good reception. Build a tower next to your house. When they see it, they’ll ask about your roof instead. 190…that makes sense, considering they don’t have flashing lights on them. Rooftops, billboards, chimneys, regardless, I still have a strong signal no matter where I go. So, you’re saying that sub-1GHz spectrum doesn’t offer broader coverage than AWS and PCS, despite its much greater range? While there will still be gaps, if TM deploys 600MHz and 700MHz services on its current rural towers, there will certainly be greater coverage than if it does it only with AWS and PCS. Tower sites me nothing if you don’t have a wireless spectrum to broadcast to begin with, let alone legally. Cities will not let you build towers in areas you’re not licensed for.. it’s painful enough to get a county or city to agree to a tower. But to get them to agree to one you cannot use? HA! think, then type. Cities aren’t the area they have issues with. It’s outside of the cities they need to expand their network. I’m excited for the upcoming auction, but footprint is going to be the biggest issue to tackle. will this change for the upcoming auction? I doubt it will tbh. Is TMO even planning on bidding in the AWS-3 auction? Wouldn’t it make more sense to save that money for 600mhz auction and 700mhz roaming deals. T-mobile already has good spectrum in AWS, they need longer range and building penetrating spectrum. They might bid in places where they need the spectrum like Cincinnati. Ooops,…so the AWS-3 doesn’t refer to the 600mhz aucction? I wasn’t aware that there is another auction coming up. What is the frequency, is it 1700? And what is the date? By definition, AWS is 1700 uplink/2100 downlink, just like most of T-Mobile’s current LTE and much of their UMTS/HSPA+. It does make sense for T-Mobile to get more AWS, since all their smartphones support it. I also believe it supports higher speeds than the 600MHz band, with the disadvantage of not carrying as far. It does not support higher speeds. Higher end spectrum requires tighter site spacing, meaning it covers less people per sector/per site. Which means some sites are less likely to be burdened. They inherited some CDMA with the MetroPCS merger, but are certainly not using it for the TM network and plan to shut down the MetroPCS CDMA network completely some time next year. How spectrum is used needs to be changed. I shouldn’t be auctioned .. it should be LEASED annually.. Any carrier using airwaves needs to pay an annual fee for licensing.. Not some one time fee. Something thats across the board, and even. This would encourage them to use only what they need and release spectrum they would not use. Any spectrum not used for ‘X’ amount of time, forcefully released to other carriers to lease out. The current system allows for massive spectrum hoarding. They would need to set a time for purchased airwaves to expire, then allow carriers to continue with current holdings under an annual lease. Auctions since at least 2006 have come with use-it-or-lose it clauses. That’s probably one of the reasons that TM has announced it’s going to upgrade its 2G-only network to LTE, since they are running our of time on the AWS licenses they acquired in 2006 (or traded subsequently). Usage isn’t always instantly possible. For example those AWS licenses that they acquired in March 2006 couldn’t be made use of meaningfully, in any market, until May 2008 when the previous occupants finally cleared the way for deployment in the first market (NYC). Availability of licenses doesn’t always coincide with technical capabilities and funds for deployment. When you’re a nationwide player, you have to buy big, which immediately means that only those with the very deepest pockets can afford to spend the billions on the spectrum and then back it up quickly with an expensive deployment program. Certainly, the current rules favor the biggest carriers and the idea of shorter leased cycles with more rigorous controls is very appealing, but there would still be some lead time required when new spectrum is released (such as the upcoming 600MHz band, where current occupants have to be moved on) and when lessees acquire spectrum that is outside their current technical capabilities. Wouldn’t our phones stop working if for example your carrier had 800mhz this year and then next year they lost the auction to a different carrier? I’d rather see T-Mobile get a nationwide 10×10 chunk, than 5×5. Isn’t Sprint’s LTE network using 5×5, and that’s why so many complain about Sprint’s lackluster speeds. If the market ever gets leveled out in this country, at least a 10×10 chunk of spectrum will be needed to maintain high speeds. Amazing how people biatch about T-Mobile wanting a fair game on the wireless spectrum purchasing when you are likely the same people that complained to hell and back about Sprint wanting to buy out T-Mobile last week and how unfair that would be. Where are you seeing that? I can’t see anyone here arguing that the current system is fair to smaller carriers. Sprint has tons of unused spectrum, they don’t need to buy another carrier, or get mire spectrum, really all they need are new execs, and to actually use their spectrum. So I guess there’s that “Sprint comment” you were referring to. I don’t agree with T-Mobile on this one. 5×5? Really? T-Mobile should aim to by a 10×2 or 10×10 slice nothing less. Sell shares if you have to but pony up the cash if you want it. In reality though T-Mobile has enough mid band/ high band spectrum to work with in the interim. What they really need is low band spectrum. They can even improve their position in Cincinnati by being smart with the spectrum they have and refarm PCS. I don’t like the idea of the FCC making special rules in favor of companies. It undermines the basis of the auction process. companies can bid it up so much that other carriers cannot afford it.. that’s anti competitive.. that’s why special rules are built in place. Spectrum: so the more spectrum the better.. if you can get your hands on it a carrier will do so any time regardless if it’s during an auction or through a company. spectrum is how a cell phone company is run. you need it. it’s like blood. we need it. regardless sprint uses 5×5. Tmo is upping it to 20×20. i forgot what AT&T and verizon use. I think its 10×10 or 5×5.. the reason why they are upping it is to increase capacity and speed. when you have multiple bands like 700mhz, 800mhz, 1.9ghz and 2.1 and others, you can combine them to have more spectrum allocation. it will help in a lot of ways. hope that helps.